"Even though I come from a region near the sea (Puglia - Italy) living just a few kilometres from the shore, this is the first time that I have approached the sea - not like a swimmer or a tourist but to look at, even for a short time, the faces of those people who make the sea their own earth and sky. With Luca’s guidance I found out that I am really ignorant on the subject but willing to learn. During those few hours I had to keep silent. The questions which I asked Luca and to those we met on our tour, are not just the meaning of terms like the "swell" - which I didn’t know. I did learn some specific terms but above all I listened to how men live on the sea which is the place where fishes live. 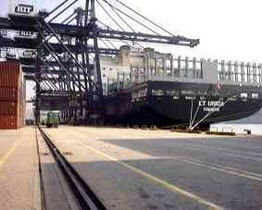 The day spent in the Kwai Chung port, was a real missionary day. The visit to each of the ships reminded me of the visits of missionaries, years ago, to single villages which made up beautiful Hong Kong. 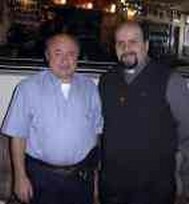 They reminded me also of the visits which I did as a priest to the families of my parish. Here and there we met all sorts of people - those who are waiting for your visit and others who - when they see you - wonder who you are, those that expect something from you and others who are certain of your visit. During this day, visiting the various crews on the ships, I discovered the common faces of people who sacrifice their daily family life for a long period of time, sometimes for their entire life. 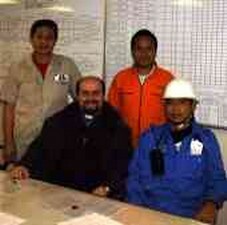 Thanks to God that there are people who care for the seafarers. To tell the truth there are many people interested in seafarers but few are those who take an interest in their stories, in their life, in their needs. Luckily seafarers have people like Luca who dedicate their life to a mission of service. I want to spare a special word for seafarers. Perhaps it is too much to say that they are exploited but this is what I have seen with my eyes and heard with my ears. These are men, not animals of burden. They receive orders from people who work ashore behind a desk with so many comforts. When they arrive in port they burn inside from the desire to go ashore and feel the nice smell of earth. 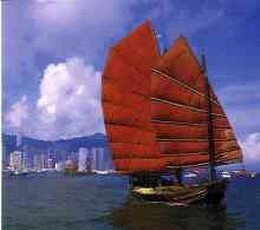 But due to the desire of the owners to become richer but less and less human, they have only a few hours in port. During these hours they don’t have even the necessary time to do things for which we distinguish a fish from a man. But these people have a heart, a heart not of a fish but of a man. A human heart. To you therefore dear seafarers, Christians or not, goes my thankfulness. 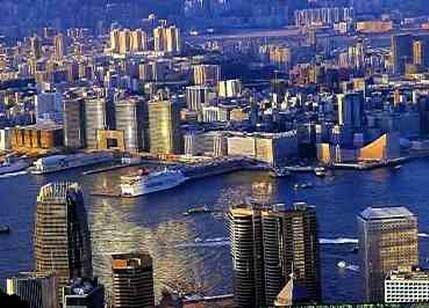 Without your job I could not live my life in Hong Kong in fullness. Be strong and brave in living your vocation which makes you men of the sea. The one, who writes to you, has become a fisher of men by the will of God who has made the sea and the earth. You that live on the earth and on the sea, give to the earth the taste of the sea. You give to men, who feel very sure because they know they are on firm ground, the certainty that when the sea moves it will end in calm and the hope to reach a shore which is closer than any shore which can be physically seen with your own eyes. I am sure that whenever I speak about the sea and boats in my preaching, I’ll think of you. The Lord blesses you and blesses those people who care for you.